Enriched with Centella Asiatica, known for its smoothing properties, TOUCH PEN DORÉ leaves a fine, translucent veil on the skin that evens out skin tone, for an ultra-light, adjustable finish. 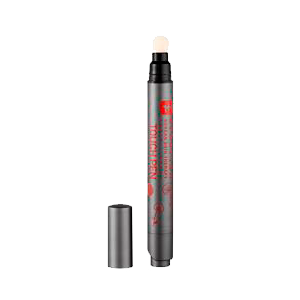 With its sponge applicator, it can be used any time of the day for quick beauty touch-ups. This brilliant, high-precision beauty tool helps to conceal dark circles, imperfections, and visible signs of ageing and fatigue, to reveal a more radiant complexion by contouring or zoning.